How do I change the time of my Facebook event? 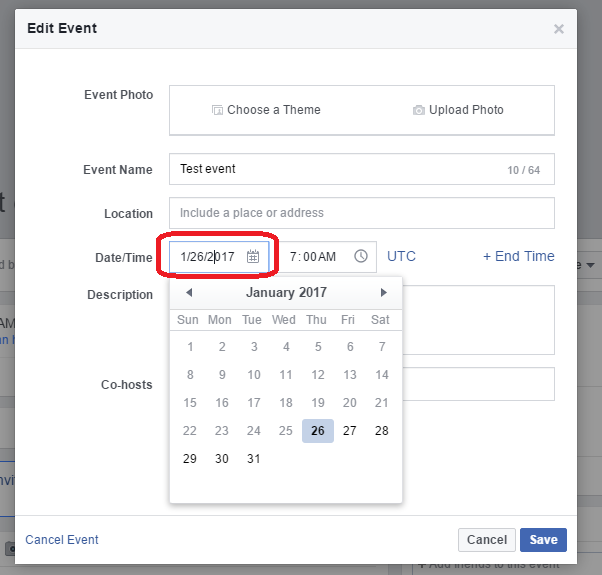 This article on how to change the time of my Facebook event follows on from How Do I Create A Facebook Event? and How Do I Communicate With The People Attending My Facebook Event? and actually covers the question I asked in the first place when I had created a Facebook event but needed to change the time. 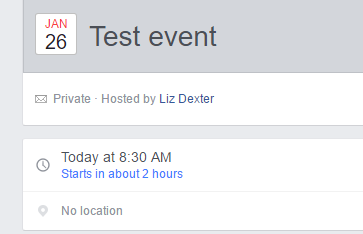 Why is it so hard to change the time of a Facebook event? It isn’t actually difficult at all to change the time of your event, however it is not obvious or intuitive. We’re used to getting drop-down menus or calendars or options when we try to edit an event in a calendar, but Facebook (currently) does it a bit differently. How do you edit a Facebook event? This takes you into the edit screen. Here you can add a photo, change the name, add a location and change the date and time. However, when you click on the time, all you will get is the hour or minute section highlighted. Nothing to drop down, no arrows, no clock. This has confused many people. However, all you need to do is click on that highlight and use your number keypad or top row numbers to type in your new number. If you want it to read 8:30, start by highlighting the hour and typing 8.
and you actually have to type 30 to get it to read 30 and not 03. I don’t know about you, but I expected the cursor to be at the beginning, so you could just type a 3 and get 30. 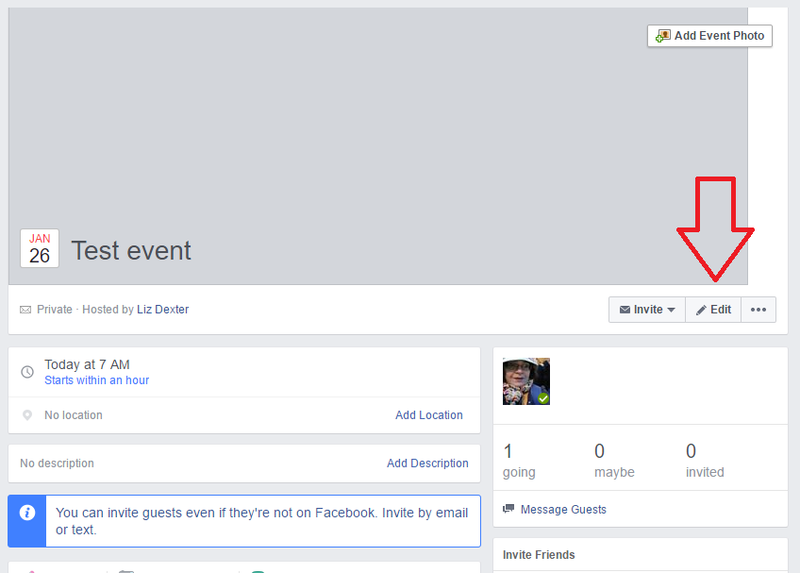 This article has explained how to change the time of a Facebook event. How Do I Communicate With The People Attending My Facebook Event? How do I cancel a Facebook event? Here is a helpful post from the Libro Editing blog on changing the time of a Facebook event. You’re welcome – glad I could help!